We are a family of five so it can be very expensive for all of our dental visits. Having healthy teeth is very important to us so we make regular cleanings a priority. Thankfully, I no longer have to wait six months for those cleanings as I have been using the Dazzle Home Polishing and Stain Removal System by Violife. This is the first dental polisher kit that was designed for use at home and it couldn’t be easier to use from my experience! 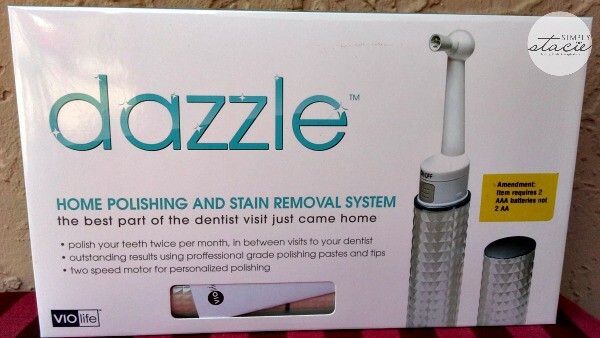 Dazzle Luxe (SRP $89.95) works as a professional dental polisher and it includes everything that you will need for a sparkling smile i.e. the polisher, three professional grade paste cups that are proudly made in the USA, two polishing tips, one interdental head and a travel pouch. This kit is convenient to use and perfect to take along for traveling since it is battery powered with no cumbersome cords to get in the way and a convenient travel pouch that stores everything inside neatly. I drink coffee every morning so I worry about stains on my teeth and I like to make sure that they are nicely polished and clean. I was a little concerned about polishing my teeth at home but it turns out that it is very gentle and easy to use. There are two speeds so I started out with the lowest speed and used the second speed when I was feeling more confident with the process. I was able to place the polishing neck in one of four positions until I found the most comfortable way to begin the polishing process. After my first use, I noticed that my teeth feel cleaner and therefore, I felt more confident with my smile. I will continue to use it as recommended which is twice a month between visits to my dentist. 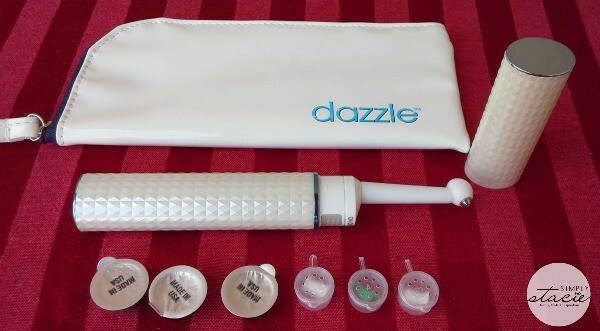 I highly recommend testing out the Dazzle Luxe for yourself to see how it works…..I was very pleased with my own results and love that I can clean my own teeth as needed. 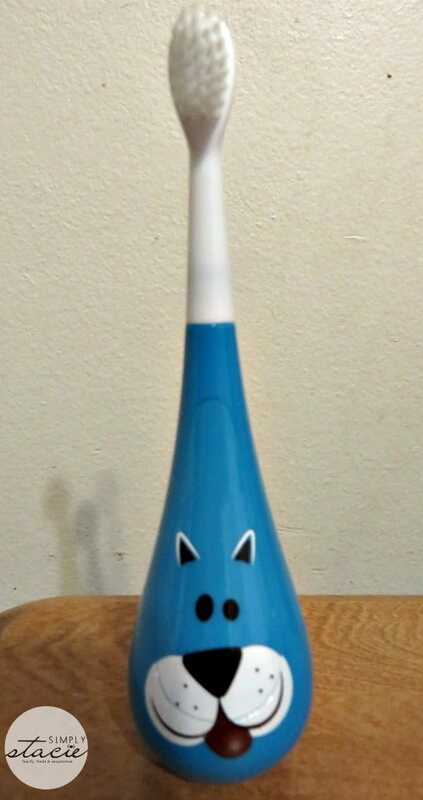 My daughter loves her new Rockee toothbrush ($14.95) that makes brushing her teeth more fun than ever as it wobbles and spins without tipping or falling over. Hannah was actually asking to brush her teeth after meals so she could use her adorable “dog” Rockee! I love that she doesn’t make a mess with the toothpaste anymore because the toothbrush doesn’t fall over. It is so unique because it stands up without the need to place it back in our toothbrush holder and the bristles dry easily keeping it cleaner. I appreciate that her Rockee even comes with two extra brush heads for free in every pack plus you can purchase additional replacements…..what a great deal! There are lots of different colors to choose from and my boys are so jealous of Hannah’s Rockee that I may just have to surprise them with their own brushes too! I would love to win this polishing/stain removing system! This is one awesome toothbrush I am hoping to win.hank you. this is great. i want it! I’ve been tweeting daily, pinning daily and going to the site daily and my entries don’t climb? ?